I finished reading this book about a week and a half ago. Normally, I write up my reviews within 24 hours of finishing a book, but I needed much more time with this one to decide what I actually thought about it. Mary Cassatt is my favorite impressionist and I had heard about her relationship with Degas when I took an Art History class in college (although my professor insisted that their relationship was was platonic) so I found the subject matter attractive. 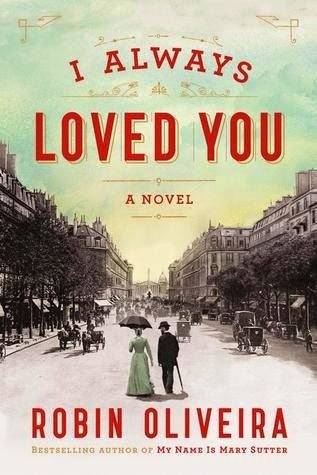 I was quickly drawn into the book, due to both Oliveria's readable voice and the fact that she so vividly brings to life late 19th-century Paris. Oliveira does a nice job of bringing to life both Cassatt and Degas. Cassatt is striving to excel past the boundaries defined by her gender and nationality. I don't completely buy that Oliveira's depiction of their relationship is accurate, but it is interesting to the reader. But, ultimately I didn't find this book to be satisfying. I tried to figure out what the problem was and I think it is that Oliveira spends a lot of time on secondary story lines. While I appreciated that she brought in other impressionists in more than just a mention way, I did feel that she spent too much time developing their stories and it took away from the central story. I am glad I read this book--it reminded me how much I love Mary Cassatt's work--but I'm not sure I would recommend it to others, unless they were especially interested in Mary Cassatt or Edgar Degas.